Negative reviews or content about your business or brand can dominate your search results and damage your company’s reputation. Our online reputation management services can help you to tell the real story of your brand to your potential users. It helps in building a brand, creating a better connection with your potential customers and creating an impactful reputation for your brand. When people search for you or your brand online, you want people to get a positive first impression of you or your brand at a glance on a first page. If the results are positive, they’ll want to do business with you or at least they will take a step towards it. If you have negative reviews then they will less likely to believe that you’re right option for them and look elsewhere. If your business is suffering from a reputation problem, don’t worry!! At Prometteur, our digital marketing experts use a number of techniques to remove, hide or reduce the chances of damaging a content online. 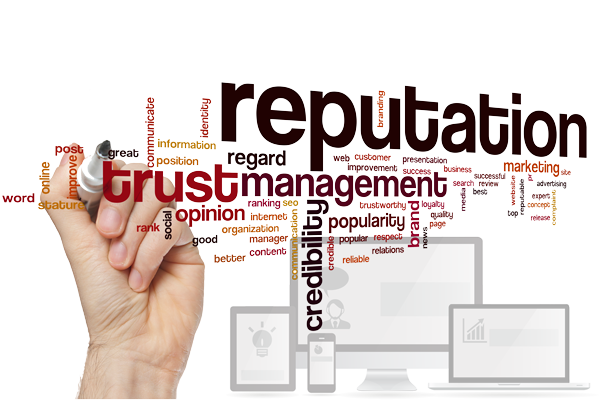 Our online reputation management services help to build and manage the online reputation of your brand by controlling the online conversations. More people would like to engage in your site if you are able to provide the exact results which they tried to find in the search engines. As a top online reputation management companies in India, we help our client to recover their online reputation by using social media platforms. We use informative content to attract more users. Our online reputation management company monitors the online reputation of your company. To monitoring brand, it is always essentials to be able to respond quickly to both positive and negative reviews and comments. As we know that negative and positive comment is a part of the business. But negative reviews or comments can dominate your reputation. Our ORM services reply to the misleading and unwanted feedback of the customers and allow you to put the best of your company forward. We always try to satisfy your customers by giving the best information forward on your website. In this way, our services try to develop a positive reputation for your website and social platform. It would help your website look great online because that ultimately decide the growth of your business. Our expert team effort will help you to manage your brand search by improving the keyword strategy, performance and content. By using reverse engine optimization concept we will suppress negative content from your website. This method is used to fix Google search results. If you’d like to discuss your reputation management needs with our digital marketing expert and perhaps even meet us for a coffee, please contact us or give us a call on +91 8087555678.